Today is Ancestry Day in Haiti, so let’s create some trees, family trees or coconut trees. Autumn trees or blossoming cherry trees, just draw, sketch, paint or even work up a collage tree on your ATC for today! Here’s what I came up with. 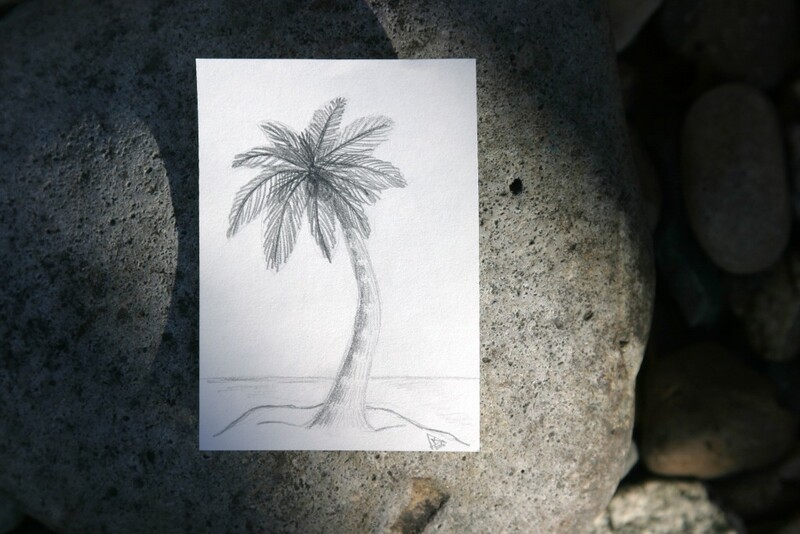 A palm tree near the ocean drawn with a standard no.2 mechanical pencil on smooth sketch paper. 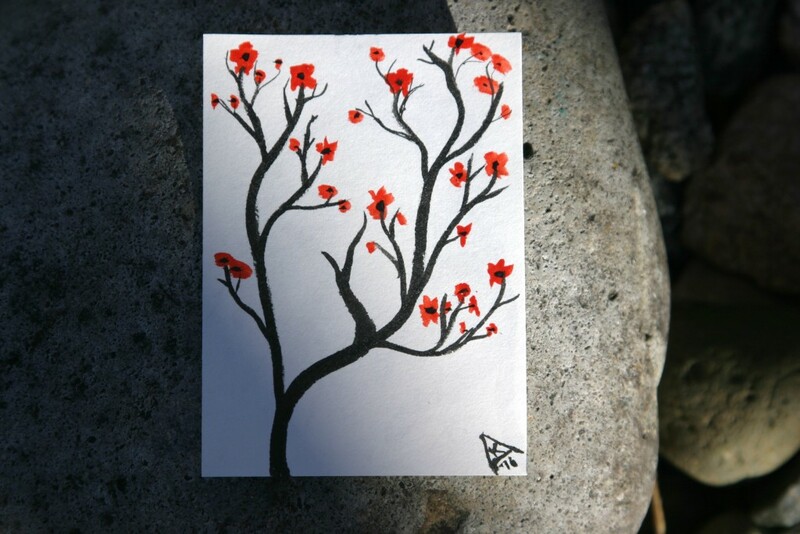 A blossoming tree done with a Pentel Pocket Brush Pen and a smidge of some red-orange PRANG watercolor on the same sketch paper. I also did one on some watercolor paper, but I didn’t like the result nearly as much as my branches were a bit wonky.